Owner John Geslicki only employed high school and college students at the shop, he said. 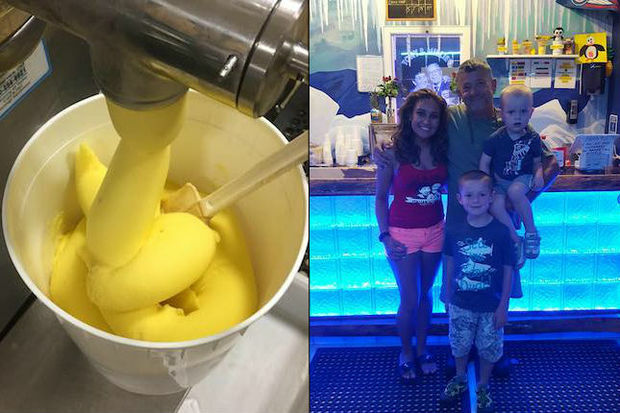 CHICAGO — Tony & Millie's Italian Ice Bar, 6709 N. Olmsted Ave., has closed its Edison Park storefront after struggling to maintain a winter-months business model focused on coffee, its owner said Tuesday. After operating for two years as a summer-only sweet shop, owner John Geslicki re-launched in February as a year-round venture. A retired firefighter, he vowed to donate all profits to a handful of local charities, including Shriner's Hospital for Children and the Chicago Police Memorial Foundation. The shop raised a combined $11,752 for the causes since its February opening, Geslicki said. The owner could have diverted some of that money to save the business from closing, but that would have flown in the face of its not-for-profit model, he said. "We just wanted to make enough to pay the kids who work here, and the rest of the money goes back into the community," Geslicki said. "But apparently it wasn't enough, and we weren't able to make rent." Last month he began donating profits to special education programs at Taft High School, 6530 W. Brywn Mawr Ave., and Beard Elementary School, 6445 W. Strong Street. He ultimately raised more than $2,000 for each, he said. Geslicki will look for a "smaller and cheaper space" where he can reopen the business, he said. "We just want our customers to know how thankful we are for supporting us these past two years," Geslicki said. "And if someone has an idea for a new space for us, they should let us know."